Treatments for lung cancer depend on the type, size, location, extent of progression and your general health. Various treatments include standard radiotherapy, proton beam radiation, surgery and chemotherapy. All types of treatment options come with their own pros and cons. That's why it pays to know everything about your options. What are the different forms of treatments? Your doctor will recommend among the treatment options based on the stage your tumor is in at the time of diagnosis. Treatments are stage-specific. Among the different treatments, surgery is not usually recommended if you are more than 50 years old and have other types of lung disease or another serious medical condition. It is advised as. . .
one of the possible treatments even with metastatic and multiple tumors in the lungs as long as they are close to each other and the surgeon can reach their location. 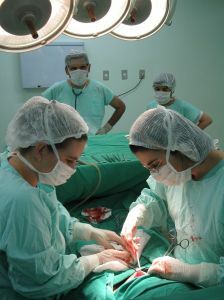 How extensive the operation will be depends on the size and location of the tumor. There are also various ways of surgically removing the tumor in your lungs. What are the different surgery options? A tumor in the lungs can be surgically removed through a . . . This is recommended if your lungs are not fully functioning and if the tumor is still tiny and confined to a certain area such as at the edge of your lungs. It can be segmental or wedge resectioning. Resectioning is done by removing the tumor and a small part of the tissues in your lungs that surround the tumor. Among the different surgery treatments, mortality risk for resectioning is much lower at 1.4%. Among the surgical treatments for lung cancer, pneumonectomy has the highest mortality risk at 5 to 8%. It involves the surgical removal of the entire lung affected by the tumor. Radiation treatment include 2 options: standard or conventional and proton radiation. In both treatments, energy rays are used to kill the tumor and to relieve some of the effects of lung cancer. These 2 options are recommended as . 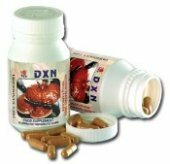 . .
one of the treatments for metastatic tumor that has spread to the brain and other organs. What is the difference between these options? Standard type of radiotherapy has its limitations in killing the cancer cells even at early stage. Proton beam radiation is currently being explored as a more effective form of treatment for early lung tumor. Related Article: Proton Radiation: Is It the Best Treatment? Chemotherapy and radiation treatments are recommended for small cell lung cancer or SCLC because together, these options are more effective. However, serious side effects from combination of these treatments can also occur. Chemotherapy involves the use of medicines given either through direct injection into a vein or a catheter put into a large vein to kill cancerous cells. It is also usually administered after surgery to destroy any cancerous cells that cannot be or have not been removed. It can be given during all the stages of tumor in the lungs for the prevention of its growth and relief of symptoms especially if you can't be operated on. Any of these possible treatments for lung cancer will have its side effects. Awareness of the side effects you can expect from these treatments is a must. It's up to you, your doctor and your family to weigh the pros and cons of the available treatments for lung cancer.